will learn not to pull. 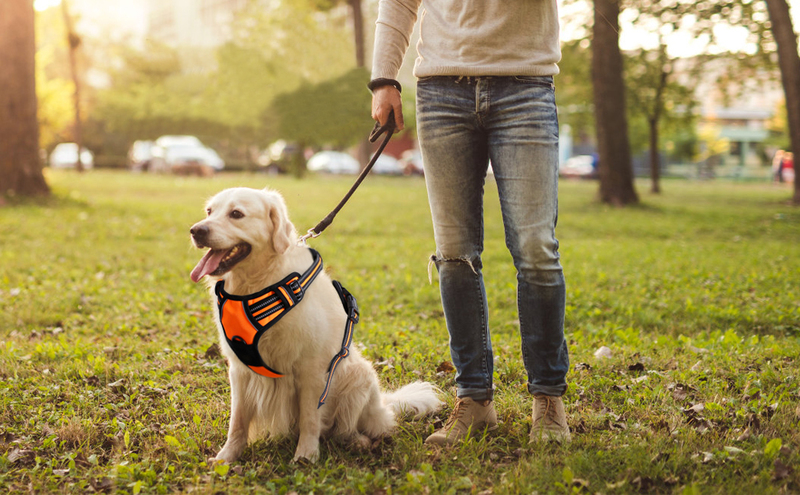 The soft and breathable padding will give your dog a snug fit around the whole body, so your dog will feel secured and comfortable, making the walk even more enjoyable. 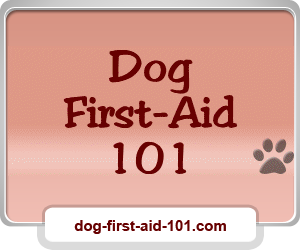 great product easy to put on my dog. very good price. Thanks for such a good harness. 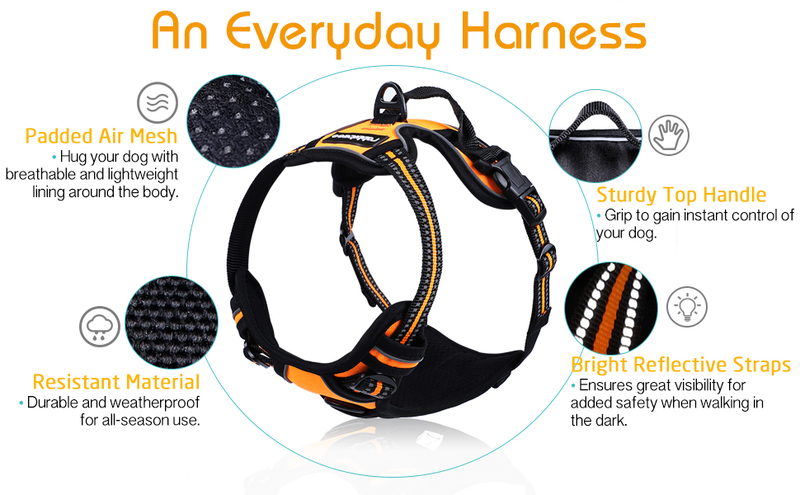 This Harness was recommended by a co-worker and I am glad that I took her advice. My dog is usually a puller but walks great with the harness on. Our walks are so much more enjoyable without the constant battle to keep control. Very good harness. Easy to put on and is fully adjustable. Quality made and still a reasonable price. Thanks. LOVE the harness and LOVE the company SO MUCH! The harness makes it so much easier to walk dogs that pull. One of my dogs chewed through the harness while I wasn't watching and the company replaced it promptly when I contacted them. Great experience and highly recommend!